Why your business needs freedom from the clutter of spreadsheets? Home » English » Why your business needs freedom from the clutter of spreadsheets? Are you still stuck with the spreadsheet method of maintaining your business accounting’s like payables, receivables and much more? Wake up! Neither we are living in those olden days nor does the olden methods work well in the modern world unless it is Ayurveda or Yoga. There’s a better way to manage it! Try business accounting software like Vyapar, which help you do the same tasks much easier and faster. Spreadsheets are not built for accounting purpose! Whereas, software like Vyapar is! It is built by Indians who have expertise in both accounting and business. Preparing business reports by hand take days and nights using spreadsheets! If you’re smart, use software to automatically generate accurate business reports with all the required details in just seconds without breaking your head. This helps you plan the future better. It is easy to go wrong in spreadsheets! In software, there is no way for formula errors and manual counting mistakes. In fact, software guarantees accurate calculations in the least time. With software like Vyapar, you can easily share invoices with your clients over WhatsApp, SMS. Can you do the same with spreadsheets? Not without lots of effort! Payables, receivables, dues etc are organized separately & well in software, unlike spreadsheets! This helps you find whatever information you need quickly in Vyapar App, unlike spreadsheets where you will have to break your head finding particulars. More than one person accessing your business accounting spreadsheet means confusions! Whereas software like Vyapar lets many people work with your most updated business data at the same time. Spreadsheets can’t be handled by your phone! It’s practically difficult. But software like Vyapar App can be used by phones too. Meaning, your business gets handy. Your accountant hates unorganized data! Your accountant finds it better when things are sorted out for him/her as they don’t have time to organize it. A software is much organized and provides needed information quickly. 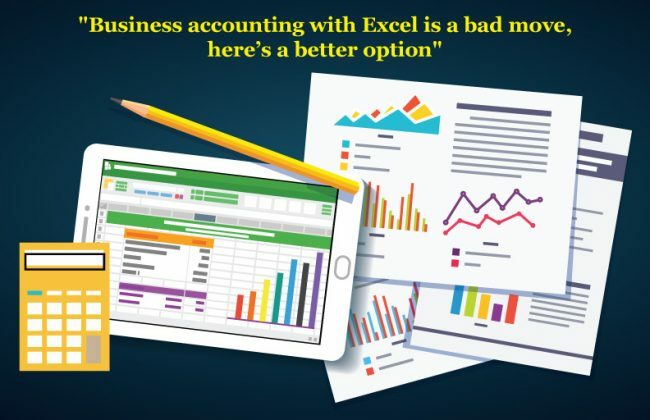 It’s necessary to start using accounting software, such as Vyapar, earlier in your business and move away from the Excel spreadsheets. Now, we’d like to hear from you: tell us one reason you’re excited to switch from spreadsheet to business accounting software. Need freedom from the exhausting manual business accounting process?